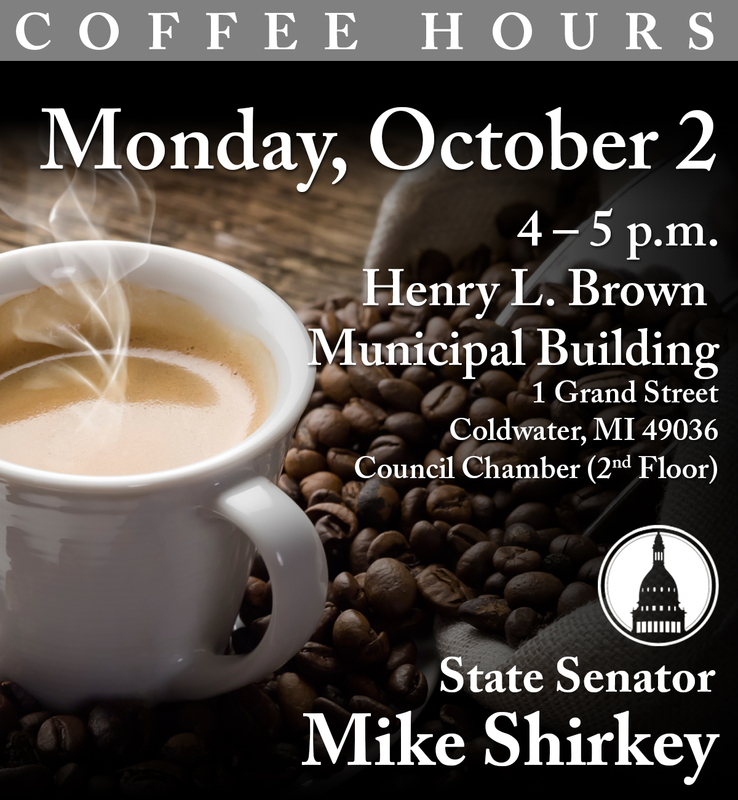 LANSING, Mich. — Sen. Mike Shirkey, R-Clarklake, announced that a coffee hour is scheduled for the 16th Senate District in Coldwater next Monday, Oct. 2. 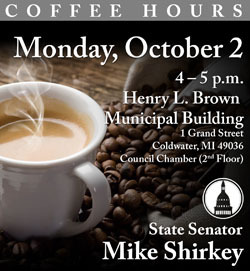 All residents are welcome to come for coffee and conversation about issues that matter to them. Coffee hours are for one-on-one discussions with the senator. Those unable to attend can stay up to date by checking this website for the most up-to-date information.